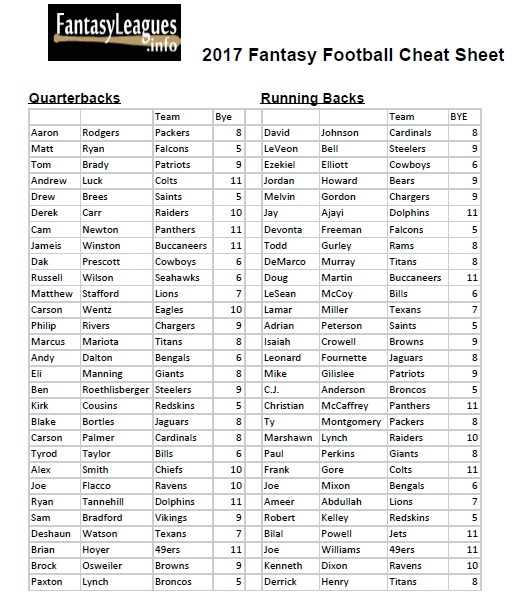 Download our free 2017 fantasy football cheat sheet! Position by position rankings made by the Fantasyleagues.info staff. Good for daily fantasy sports and PPR leagues of all kinds. Play Fantasy Football Today! Use Promo Code “FLINFO” . New promo for new users! Get a free entry in the Sunday Million contest with your first deposit!